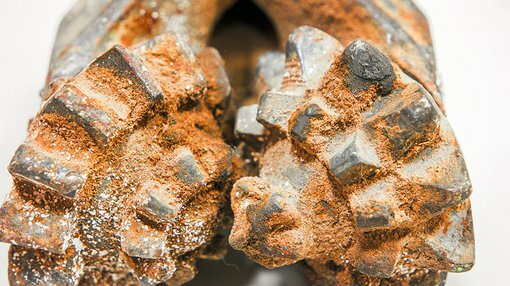 Stonewall Resources Limited (ASX:SWJ) has released initial drilling results from ongoing work at the Theta Hill prospect. 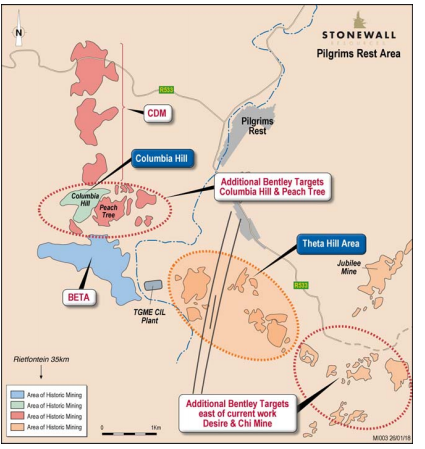 Theta Hill is located within the TGME Gold Project and is some 370km northeast of Johannesburg. 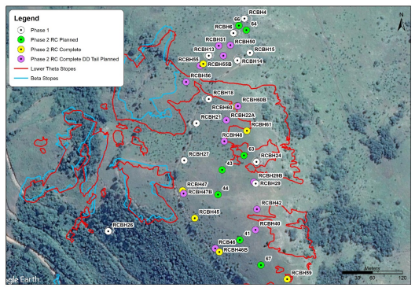 The company is highly encouraged by the recent assays, suggesting that high-grade oxide gold resources will be established at Theta. A total of 20 out of a planned 27 holes have been drilled for 918m total. However, only seven of 20 RC holes have been drilled to completed depth due to underlying cavities. SWJ will complete the remaining 13 holes via diamond tail drilling, which is expected to overcome inconsistent ground conditions while providing a truer indication of reef location and thickness. However, there is still much work to do at this stage therefore investors considering this stock for their portfolio, should seek professional financial advice. SWJ is mobilising a diamond drill rig for this purpose and expects to re-commence the above drilling on 5 March 2018. The company added that the remaining seven RC holes will be completed within the next two weeks. The company also confirmed that it is currently in talks with several groups with the aim of commencing production at Theta Hill. It has engaged process engineering firms to assess the condition of the CIL plant and examine the Theta Hill site for open-cut feasibility in preparation for future scoping and feasibility work planned in 2018. In further news concerning the TGME Gold Project, SWJ has informed shareholders that it will dewater the mine at Rietfontein. This decision will allow greater access to the area and significantly reduce the time needed to access deeper areas of the mine, with SWJ aiming to perform a review of potential locations for underground resource drilling at the site in the near future. SWJ managing director Rob Thomson concluded the promising update by pointing to a recent Goldman Sachs report on South Africa, “Given the encouraging developments and progress and the renewed investment interest in South African under new President Cyril Ramaphosa, we believe now is the time to ramp-up our activities to the next level orientated towards re-establishing gold production,” he said.